Online Legal Media is a leading provider of legal news and online legal marketing solutions through its two primary business units–the Legal News Publishing unit and OnlineLegalMarketing.com. Since 2001, Online Legal Media has kept readers informed about the legal issues that may impact their lives, and has provided information about consumers’ legal rights, while helping lawyers reach out to the clients they seek. The principal business of Online Legal Media’s Legal News Publishing unit is to research and publish legal news and information for the general public and legal community. The Online Legal Media team of journalists and editors publishes authoritative and reliable legal news on several online channels including the flagship publication, LawyersandSettlements.com, along with BigClassAction.com, CALaborLawNews.com, HealthEffectsofAsbestos.com, WorldAdvocacy.com and the weekly Law News for You Newsletter. Additionally, Online Legal Media publishes streaming legal news on Twitter, Facebook and LinkedIn. Legal news content is also available via syndication on several legal industry websites. Online Legal Marketing is the marketing unit of Online Legal Media. Online Legal Marketing (OLM) delivers web-based attorney marketing for lawyers and law firms that are looking to create a powerful online presence and boost their lead generation efforts with targeted lawyer advertising. Online Legal Marketing focuses primarily on plaintiff attorney marketing and lawsuit marketing for law firms specializing in personal injury cases and class action lawsuits. Additionally, OLM provides website development, content development and advertising opportunities to attorneys, as well as non-lawyer advertising for those who offer services of interest to the legal profession. Stephen King CEO and co-owner, runs LawyersandSettlements.com with John Sliney. King brings over 20 years executive management expertise to the company, particularly in the consumer packaged goods industry where he was integral in driving and developing e-commerce platforms to create growth in new sales channels. 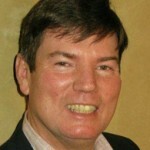 Prior to LawyersandSettlements.com, Stephen was an executive consultant to small and mid-sized online ventures with Spectrum Direct Consulting. Before Spectrum, his 20-year career with Avon Products in both New York and Tokyo culminated as vice president strategy and business transformation, after tenure as Avon CEO and president, Japan. Stephen holds an M.S. in applied economics and a B.A. in economics from the University of California. In his spare time Stephen enjoys tennis, fine wine, and restoring his vintage car. 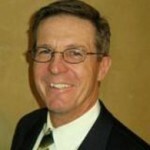 John Sliney is LawyersandSettlements.com COO and co-owner, focused on sales and business development. John has over 20 years experience as a high technology business executive, from ecommerce to electronic design automation. Before LawyersandSettlements.com, John was co-founder and president of Triaz International, a web-driven business brokerage. Prior to Triaz, he worked in executive marketing and business development positions at a number of companies including Mercado Software, Zuken, Inc., Frequency Technology, Meta-Software, Inc., Cadence Design Systems, EDA Systems, Inc., and General Electric. John holds a B.A. in computer science from the University of California at Berkeley. In his spare time, John enjoys camping, skiing and running the occasional 10k. © Copyright Online Legal Media 2018. All Rights Reserved.